Eleyne-Mari is a visionary and creative spiritual entrepreneur and the owner of Austen Sharp LLC, which began as an independent book publishing company in 1996. A new imprint, Writelighter Books, will be launched in 2016. A professional writer and editor since 1980, Eleyne-Mari has written several books, as well as hundreds of magazine and newspaper articles. Her experience includes working in television and in print media as the editor-in-chief of several publications. She was the founder of a national writers organization and has conducted numerous writers conferences and workshops for adults and children. Currently, Eleyne-Mari provides copywriting services to help promote spiritual and holistic businesses. (Previous clients were tourism bureaus, bed and breakfasts, theaters, film commissions, film festivals, opera companies, museums, office supply companies and restaurant chains.) Current projects include: advertorials, articles, blogs, brochures, display ads, ebooks, newsletters, radio and television commercial scripts, social media and websites. In June 2013, Eleyne-Mari realized her longtime dream of launching the Writelighter virtual writing and wellness spa. From this website, she offers a variety of online writing workshops, including "Rainbow Writing", "Moonwriting", "Colors of the Sea", "How To Grow a Writer", "Joywriting with the Dolphins", “Rainbow Crystal Journaling”, “Writers’ Jam” and “Summerbreeze Memoir Writing Weekend”. She will be offering her new "Write Awake!" conscious writing program in September 2016. In her continuing mission to promote color healing awareness, Eleyne-Mari (a certified color therapist, spiritual aromatherapist and Lightworker Crystal Therapy practitioner) created Aura House School of Color and Light, where she teaches Color Empowerment, Rainbow Crystal Journey and many other introductory and certification courses. 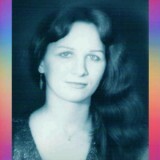 She is the founder of Color Healing Radio, Color Therapy Month, Color Camp and the virtual Luminaries Color Conference. She also launched her own meditation CDs and color therapy product lines. Eleyne-Mari is a Master Teacher of the Atlantis Healing System and is attuned to the Silver Violet Flame, Colors of Angels, Dolphins of Atlantis, Aquamarine Dolphin Healing Ray, Golden Empowerment Ray, Rainbow Orb and Atlantis Healing Systems. "Change your Colors and you change your world!"